Palmako Ralf 9.6m²: The Palmako Ralf Log Cabin uses 28mm wall planks and features a large solid wood (no glass) double door. 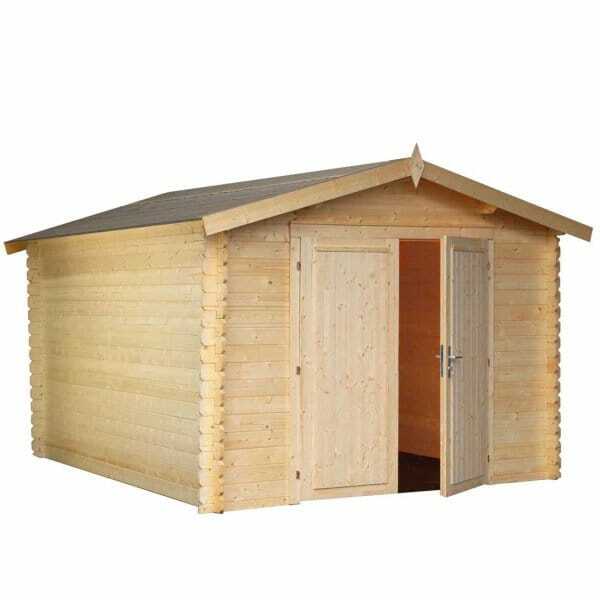 This log cabin building can be used in many ways and is ideal for any garden. The Palmako Ralf log cabin comes with the option to purchase roof felt shingles or Shed Felt (Please see below). The Palmako Ralf Log cabin also has the option to purchase the wooden floor kit.